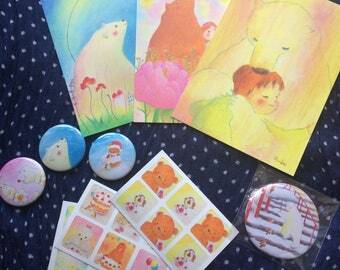 A selection of illustrated Badges showing Erina's beautiful art. They are 38mm (1.5 inch) metal badges with a steel safety pin style back. 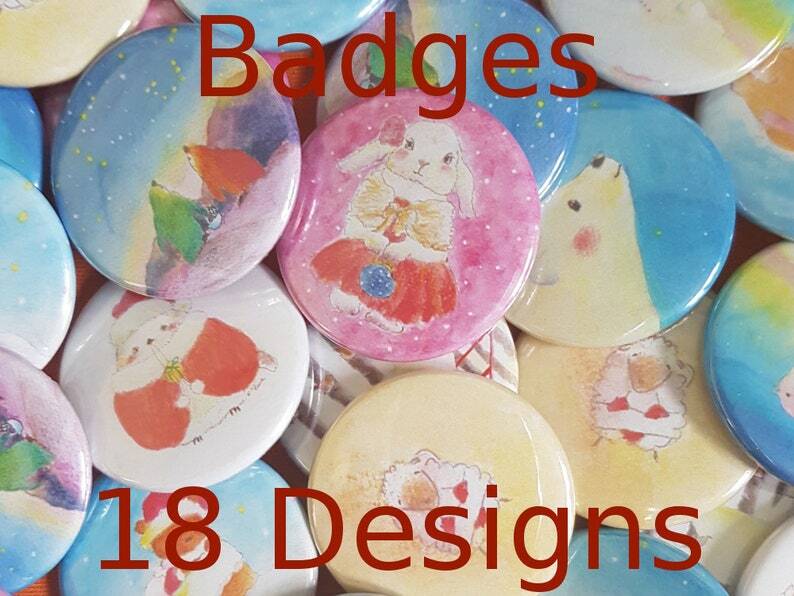 Choose any 1, 2, 4 or 8 badges - Simply write in the comments the code of the badges you require. If you need more than 8 Badges or have any other questions - Please feel free to send us a message - We'll do our best to help. Cottage roof party - illustrated iphone 7 case.